Laika is a name often dropped during interviews with other bands. They are cited as a huge influence on Radiohead whilst writing "Kid A". Since 1993, the duo (Margaret Fiedler and Guy Fixsen) has released three full-length albums, occasionally to differing reactions, but usually to much praise and acclaim. CD 1 is a collection of 10 songs from their three albums. Sticking a few tracks from each album does not work with this band. This is because each of their three major releases has been so distinct and dissimilar in terms of subject, scope and style. Sometimes this varying direction can give a nice variety, but here it just does not flow. I am not saying these songs are bad. Take the haunting 'Breather', the dubbed electronic genius of 'Bedbugs' or the majestically atmospheric 'Go fish' and you can really see the true talents of this duo. But the songs from CD1 work so well together on their original albums that I am finding it hard to see the point of this release. CD 2 throws up more interesting material, containing rare live recordings, covers and remixes. The Maxwell House remix of 'Prairie dog' strips the song down to a starkness that really displays Fielder's deep, entrancing vocals. In the past, her singing has sometimes been too hidden under the layered beats, so it is interesting to hear it against a more austere sound. I must admit, I had never associated Laika with the sort of act that does covers, but that is exactly what appears on track 7. Their version of Wire's 'German shepherds' is bizarre to say the least, but it works. On first listen, the repetitive bass can be appear a little laborious, but, after hearing it a few times, this irritation turns to delight as the true beauty of the tune comes through. This CD also features an unreleased song. 'Bee Stinger' once again seems to pull Laika in a new direction. They have said that this is definitely not an indication of what will appear on their next album and this is a great shame. The song ups the tempo from their previous work and brings a stronger dance element to them rather than the more chilled-out electronica they are well known for. 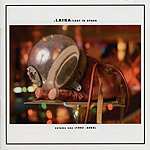 Laika are a fascinating and talented band and this double-album displays their innate ability. However, while CD1 just comes across as album samplers for their three releases, CD2 is a much more interesting collection and a must for all fans. For anyone wanting to get into Laika, then I suggest you skip over this CD for now and purchase the albums already released, starting with the 1997 release "Sounds of the satellites".